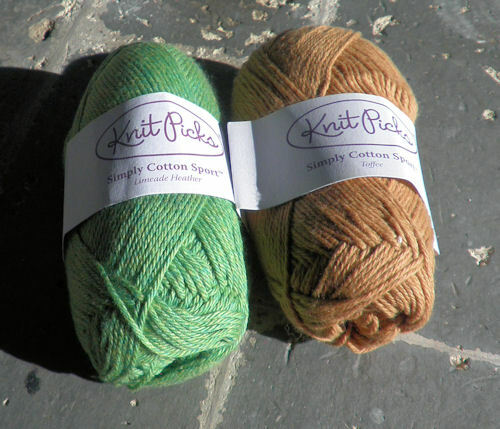 The KnitPicks Simply Cotton yarn is made from 100% organic cotton and is available in both sport and worsted weights. Each weight is available in 20 heathered colorways. Also available are undyed versions in four natural colors. The dyed versions do not use organic dyes. 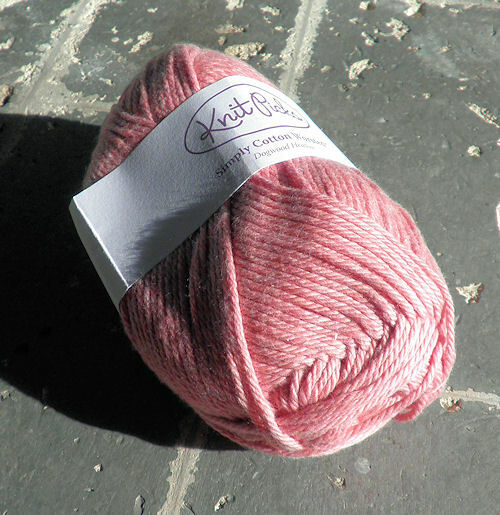 The yarn is soft and easy to work with with a nice drape. Perfect for baby items that won’t irritate delicate skin but just as lovely for bigger folks and soft washcloths. The Sport weight yarn is $2.99 a skein for the dyed and $2.49 a skein for the natural. The Worsted weight yarn is $5.99 for the dyed and $4.99 for the natural.